It is quite easy to get confused by Alcatel's product portfolio. There is the Alcatel One Touch Idol X, which has not even been available for that long. Some markets have already seen the One Touch Idol 2 with LTE and a metal chassis. And now, there is also the Idol X+, which comes with a true octa-core CPU and sheds off some of the weight of the Idol X while retaining both its SIM slots. Then again, it has become bulkier and is strangely devoid of other improvements. Still, it is supposed to cost approximately 100 Euros (~$136) more than its sibling. So let us find out how the Idol X+ fares when compared to other upper mid-range devices such as the powerful Google Nexus 5, the Motorola Moto X with a number of innovative features, the LG Optimus L9 II, the LG G Pro Lite Dual and the Nokia Lumia 1320. Even some flagship smartphones from 2013 such as the Samsung Galaxy S4 and the HTC One can be had for approximately 400 Euros (~$545). 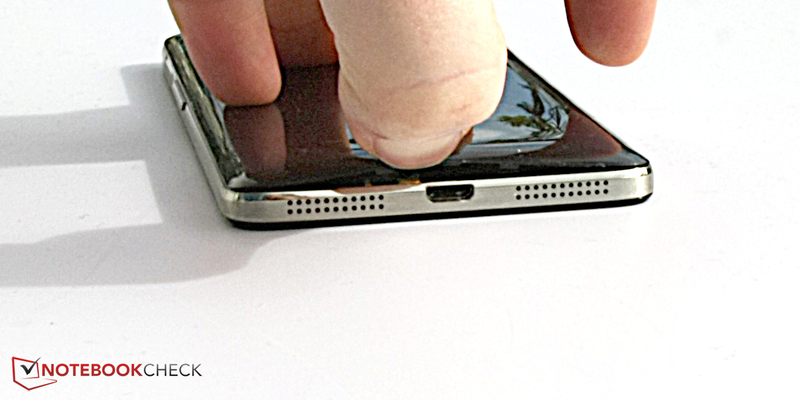 Not so great: A fingernail is enough to lift the back panel and take a look inside. The One Touch Idol X came with not only a beautiful, but also a very slim chassis with a roughened surface structure. The Idol X+ is a bit thicker, measuring 8.1 millimeters instead of 6.9 (~0.32 and 0.27 inches respectively) - still ahead of the Google Nexus 5 or the LG Optimus L9 II. Its weight of just 125 grams (~4.4 oz) is more-than-decent, too. While the back panel (available in black or white) may look premium thanks to its circular texture, it comes with a glossy finish making it highly prone to smudges and fingerprints. The cover cannot be removed (the same was the case for its predecessor), but a fingernail proved to be enough to lift it up, at least in the case of our test device - no premium build quality here. As before, plastic is being used, augmented by Gorilla Glass 2 on the front. Putting a lot of pressure onto the screen causes image distortions. Everything else is no issue, as is the case for the chassis itself, with great torsion resistance and no creaking noises being produced. Another large issue concerning the Idol X was the omission of a MicroSD card slot. Nothing has changed in this regard, though. A little more than 12 GB (of 16 GB) remain for apps, pictures and music. Both the Idol X+ and its predecessor come with two SIM card slots. Nice! 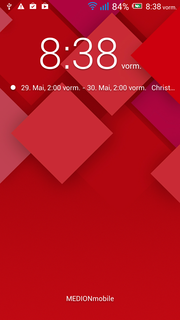 Still not closer to Android 4.4... 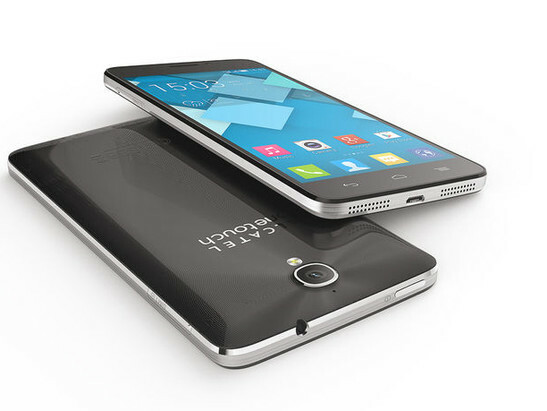 Although most other manufacturer's have come to use Google's newest OS version, the Idol X+ ships with just Android 4.2.2. And while this is a decent, reliable and stable version that has been tested for years, there are already a few apps that are not compatible with such an "elderly" version of Android. Plus, since Alcatel has made some changes to a number of core functions of Android, updates can only be installed via "One Touch Upgrade". One of the changes concerns the lockscreen: Swiping to the left reveals the camera app, swiping to the right leads to the start menu. Some settings menus have been expanded as well, e.g. 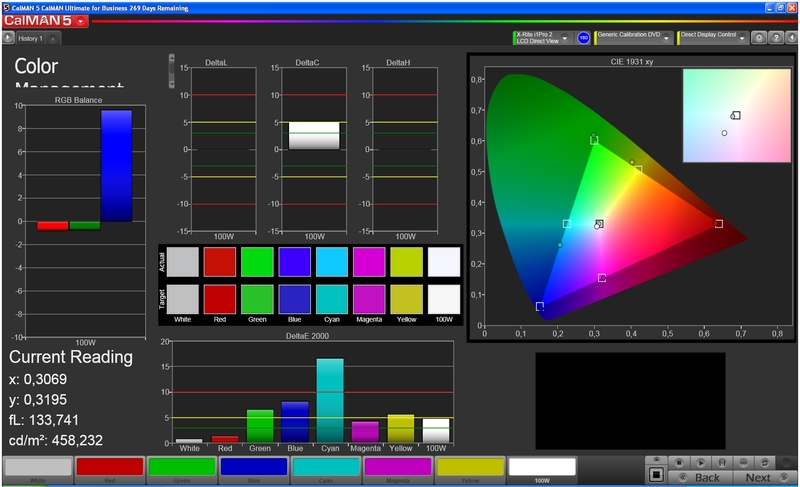 with a nice display configuration tool for changing color saturation and color temperature of the display. Unfortunately, the saturation slider in our test device seemed to be quite buggy, with any increase close to the maximum actually leading to a decrease in terms of saturation. A lot of software has been preinstalled, some of it bloatware, some of it useful. Among the former category is the "One Touch Live" store, which just contains a sub-selection of the Google Play store. "One Touch Backup" is another backup service (in addition to the one provided by Google). The communication app "Viber", the music service "Shazam", a number of Gameloft games - all of this might be a bit too much for purists. Then again, most apps can easily be removed, yielding a bit more space on the smartphone. 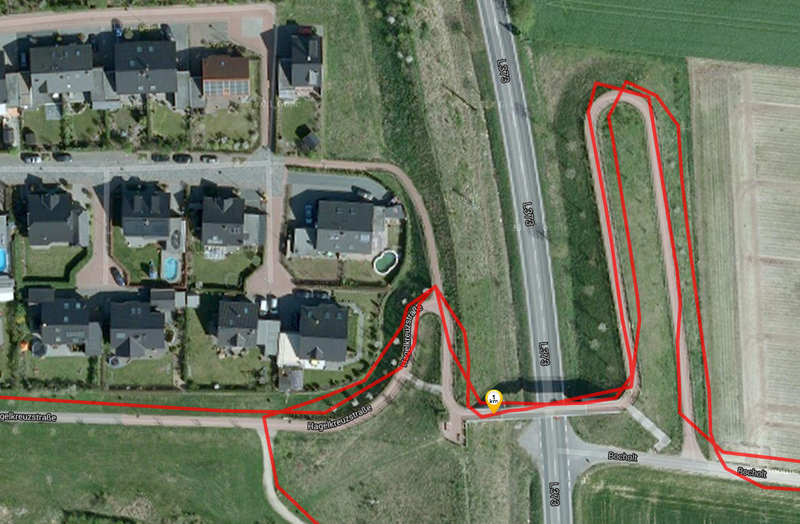 ...and ten meters indoors: The GPS module. 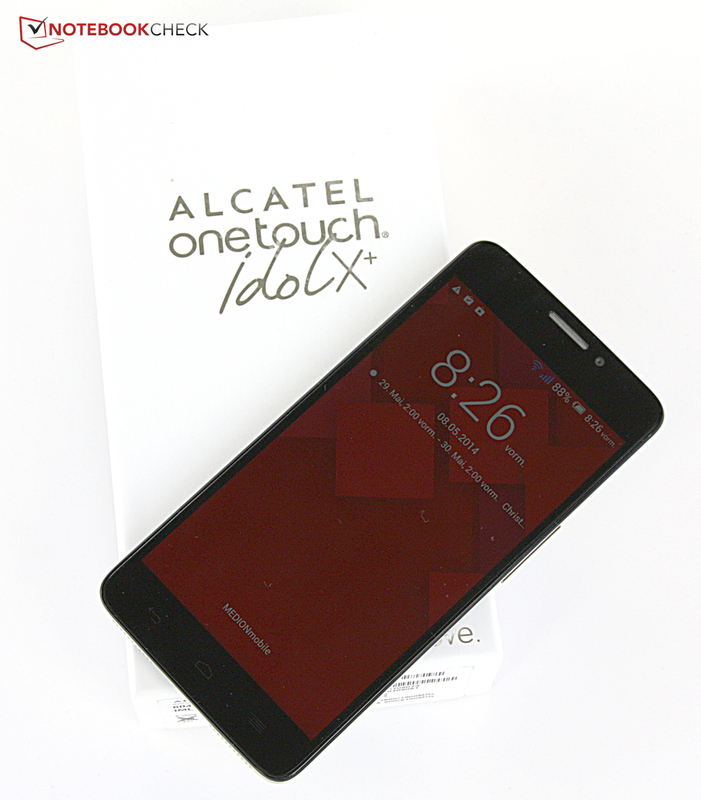 Even though many cheaper devices have started to ship with LTE, the Alcatel One Touch Idol X+ does not follow that trend. Actually, it is even slower than its predecessor, due to a reduced maximum 3G upload speed of just 21 MBit per second (instead of 42 MBit per second). The Wi-Fi module still supports just 802.11 b/g/n, with the modern standard 802.11 ac remaining absent. Still, its reception quality is superb, yielding four out of four bars even when three walls and ten meters (~33 feet) are between the router and the device. Another wall and another two meters (~6.6 feet) let it decrease to three bars, still a great value. 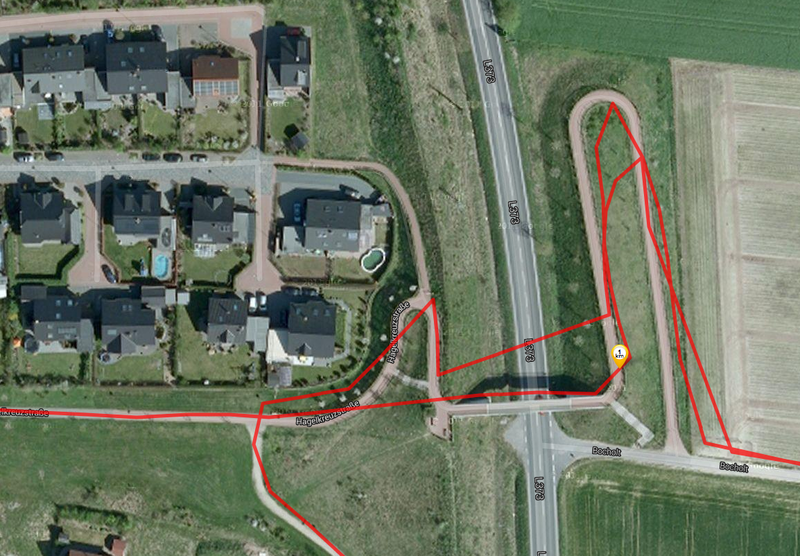 The A-GPS module had problems locating us indoors. Still, after waiting for some time, a number of satellites can be found, making it possible to locate oneself with a precision of approximately ten meters. 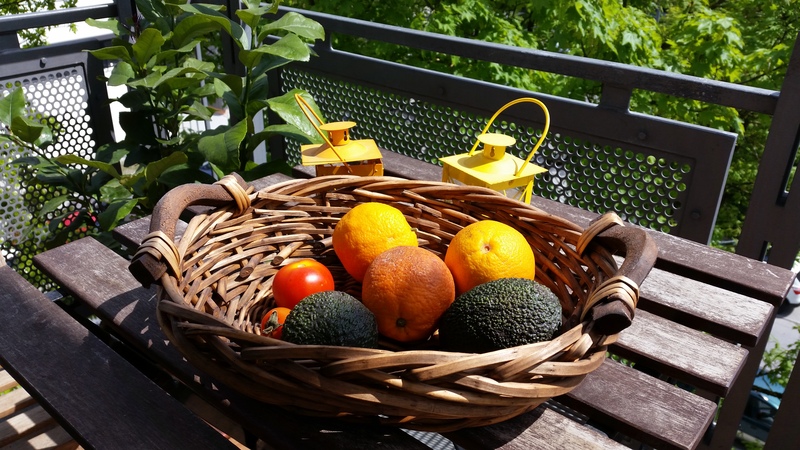 The high quality of the module really shows when being used outdoors, yielding a precise (approx. three meters; ~10 feet) and fast lock-on. 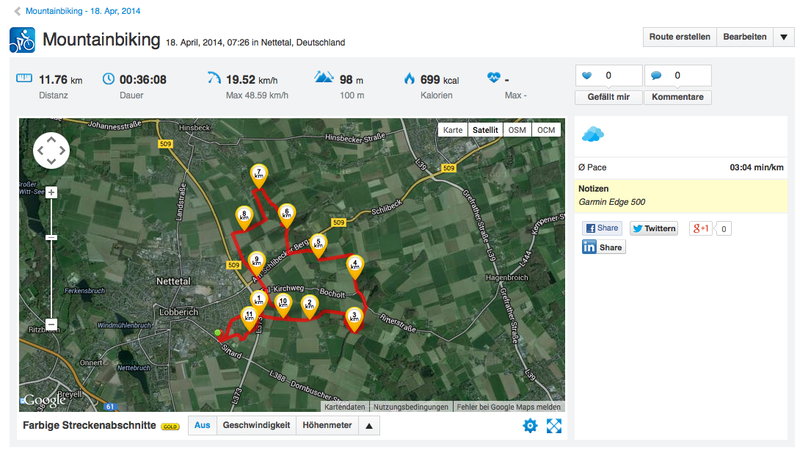 When biking, the GPS module of the Idol X+ comes close to that of a professional navigation device, the Garmin Edge 500. 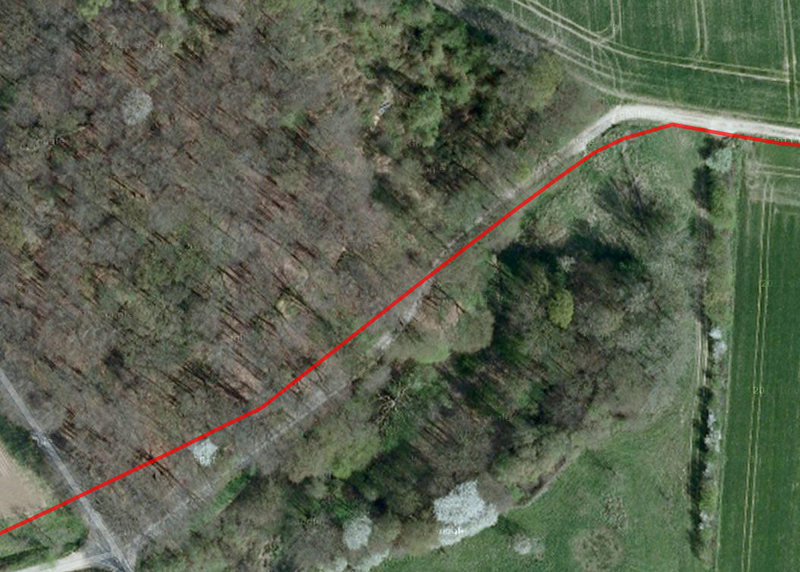 It may not be quite as precise, cutting some corners and measuring 300 meters (~328 yards) less in terms of total distance, but this is still a respectable result. 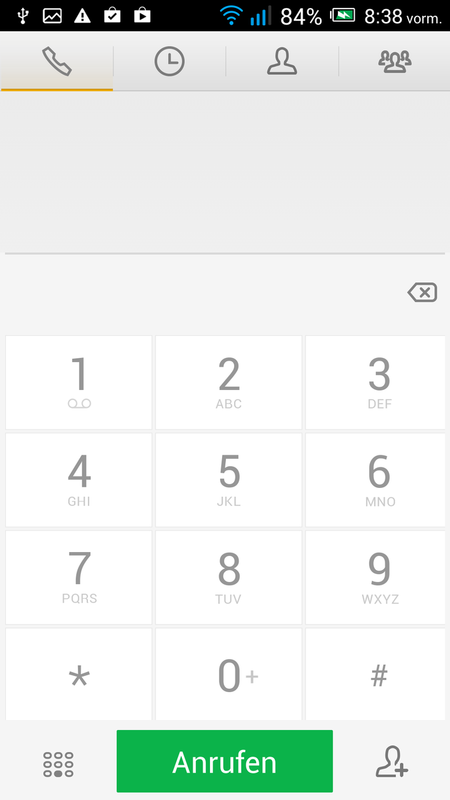 The telephone app remains true to Google's original approach, adding just a few design tweaks here and there. 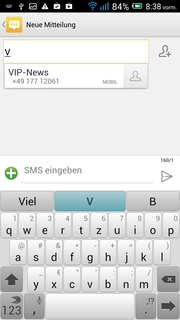 We are perfectly fine with this decision as the Google Android telephone app has always been easy to use. Even two SIM cards pose no issues for Android (although it is still as tricky and annoying to insert the SIM cards and open their hatches as it was with the One Touch Idol X). Speech quality may not be quite on par with the HTC One M8, but it comes close: Any caller can be understood clearly and loudly. The same holds true for the speakerphone although some more volume would have been nice here. Although background noises are not always filtered out reliably, the other side should have no issues understanding anyone using the Idol X+. The camera modules on the front and at the back have not changed much in terms of megapixels, with a rather fantastic amount of 13 megapixels on the back and a decent 2 megapixels up front. Again, as with the One Touch Idol X, there is an LED flash on the back. Unfortunately, the entire sensor size of the rear sensor is not being utilized (the same issue had already been noted with its predecessor). 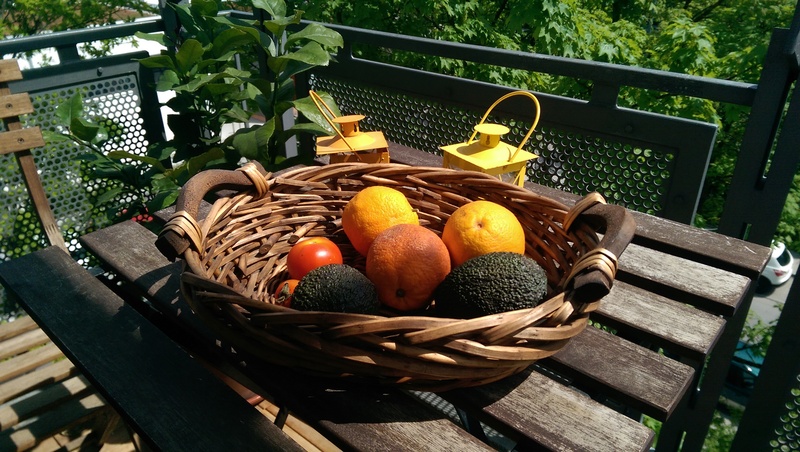 While the photo app offers a number of manual tweaks, image size can only be "large", "medium" or "small", with "large" being just a little more than 9 megapixels once again. We still do not get why Alcatel does not utilize the entire sensor size (and does not even mention that fact) - especially since other photo apps are indeed capable of doing so! When compared to the Galaxy S5, the HTC One M8 and the reference DSLR made by Canon, the Alcatel One Touch Idol X+ does not have to go into hiding. 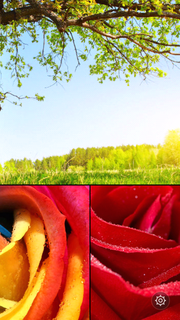 The colors are not as vivid as with the Galaxy S5, thus appearing much more natural. In terms of details, the Idol X+ is almost on par with the Galaxy S5, yielding detailed pictures even when zoomed and far ahead of what the HTC One M8 and its much lower-resolution sensor can offer. At first glance, the smartphone ships with "just" a charger, a USB cable and a headset. Then again, the headset is made by JBL. This not only means that it is nicely designed (with red cables) but also that its audio quality is above average. Mid-range and highs are balanced, and bass is noticeable, too. When, for example, compared to the headset shipped with the Samsung Galaxy S5, some differences are noticeable, e.g. deeper bass and a more vivid overall sound. Alcatel offers 12 months of warranty on its smartphones. A capacitive multi-touch screen capable of supporting up to five fingers simultaneously is the primary interface of the Alcatel One Touch Idol X+. Multi-touch gestures work reliably, as do the edges. 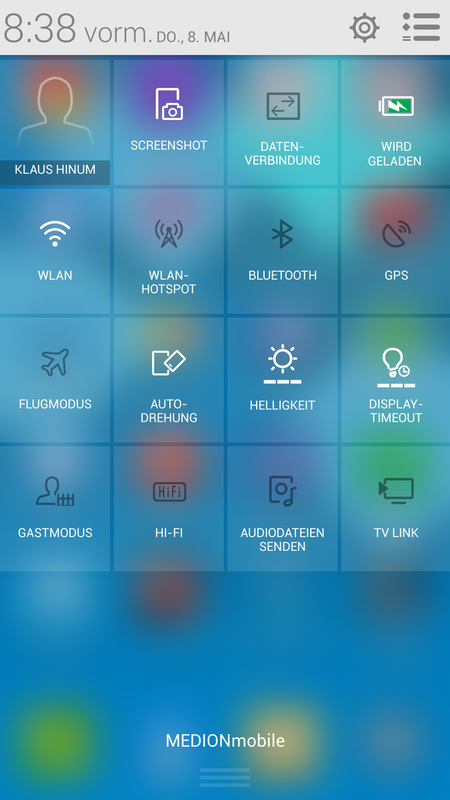 The three touch buttons for "back", "menu" and "home" are located beneath the display. Thus, they do not reduce the available screen real estate. 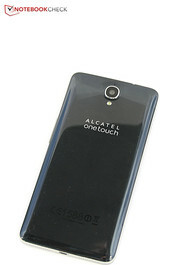 The Alcatel device ships with the "Swift Key" keyboard, a change when compared to the standard Android keyboard of the Alcatel One Touch Idol X. 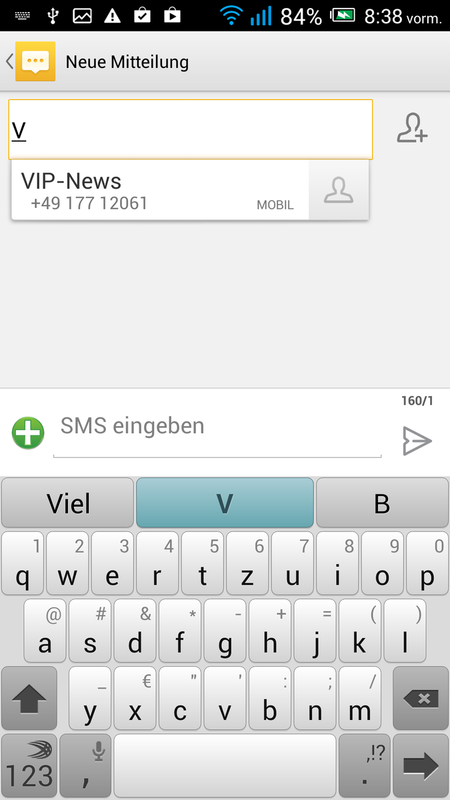 The new option offers more settings while the Android keyboard is simpler and easier to use. 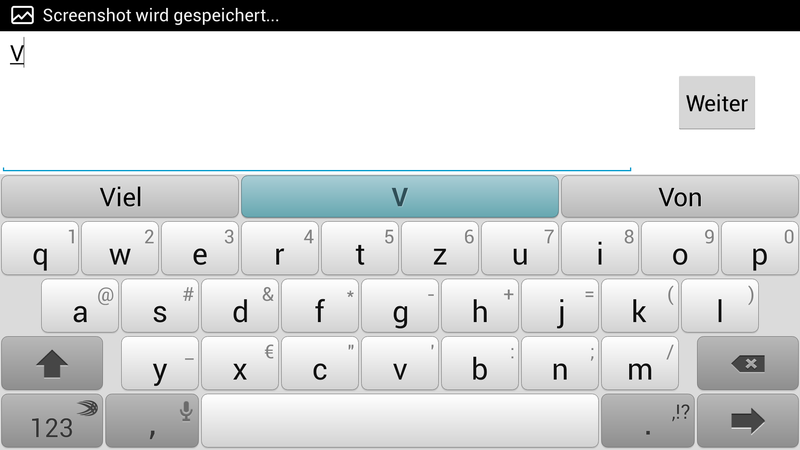 Of course, every user can decide for himself or herself which keyboard to use (plus, there are hundreds more to be found in the Google Play store). The display offers pretty much the same specs as that of its predecessor: Full HD resolution, 5 inches, IPS technology. Still, the maximum brightness has actually decreased by about 60 cd/m² down to (a still great) 426.8 cd/m², more than the Samsung Galaxy S4 and the Motorola Moto X, but less than the HTC One M7. Brightness homogeneity of 93% is more than just decent with the Idol X+. The contrast ratio of the Idol X+ has decreased to 551:1 when compared to the value of 1292:1 of the Idol X, not only due to the lower peak brightness, but also due to twice the black levels, now reaching 0.8 cd/m², causing blacks to appear grayish instead. As mentioned, both the color temperature and the saturation of the display can be changed manually. 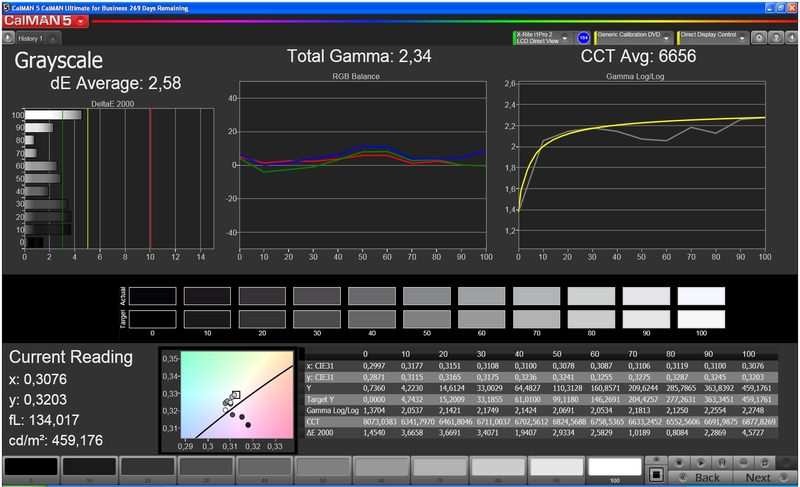 The differences appear to be larger than they are if they are measured with a colorimeter and the CalMAN software. While reds and greens do change, blues remain dominant at all times. This is also noticeable when looking at the grayscale rendition properties, even when the color temperature is set to "warm". Due to its reduced peak brightness, the One Touch Idol X+ is not as easy to use outdoors as the Idol X. Still, it works well enough as long as there is no direct sunlight hitting the reflective screen. IPS panels have been developed to yield great viewing angles, and that is exactly what they do. 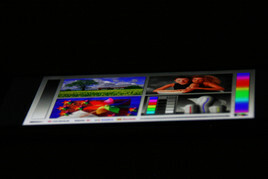 The same holds true for the display of the Idol X+, offering a stable image without color inversions or reductions in terms of contrast even at very narrow angles. 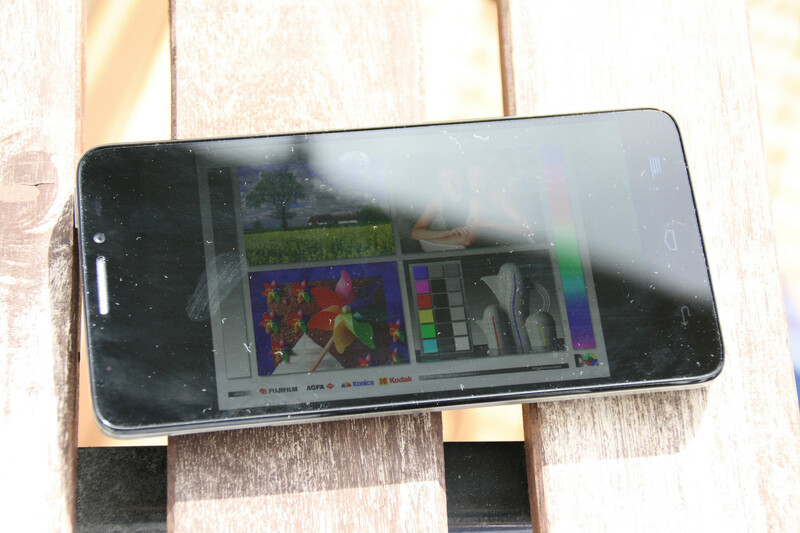 The SoC - called the MT6592 and being used, for example, in the Wiko Highway - has been made by MediaTek. It is a true octa-core CPU with a clock speed of 1.7 GHz. Still, this sounds more impressive than it is. The clock speed is just average, as is the performance-to-MHz ratio of the Cortex A7 cores. 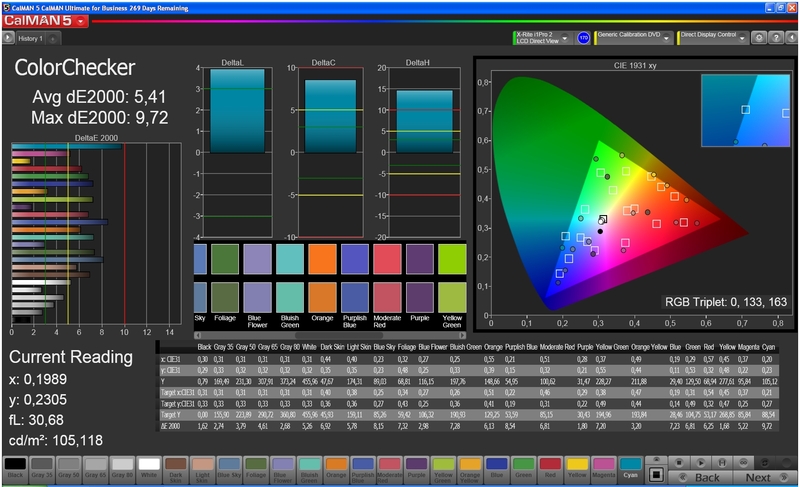 Additionally, only a few apps support all eight cores. 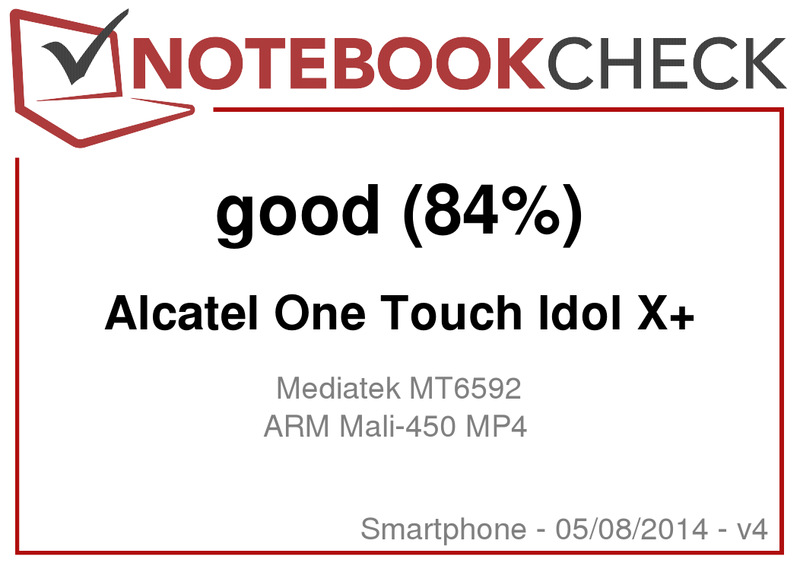 Thus, the Alcatel One Touch Idol X+ comes close to the Google Nexus 5 in terms of performance while not truly exceeding its capabilities. Some lags and some stuttering do occur while navigating the UI. Still, the performance levels are quite high, especially given the price point - and even more so when compared to the Idol X. 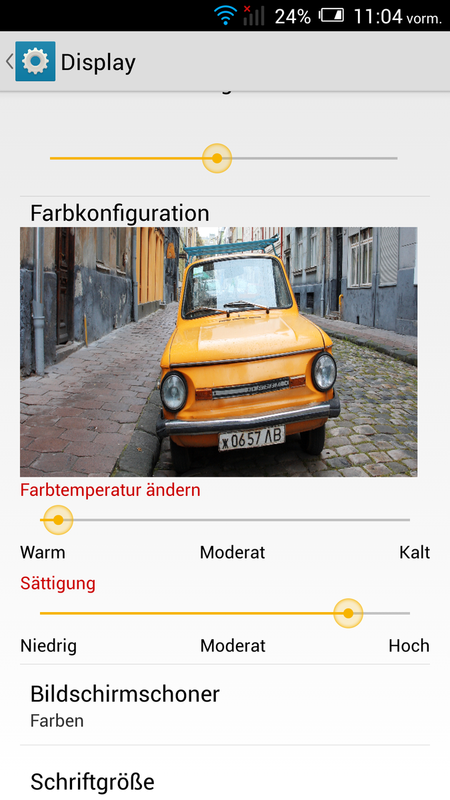 The ARM Mali-450 MP4 GPU offers good performance, too, coming close to 50% of last year's high-end devices such as the Galaxy S4 or the HTC One - which is more than enough for most recent games in the Google Play Store. 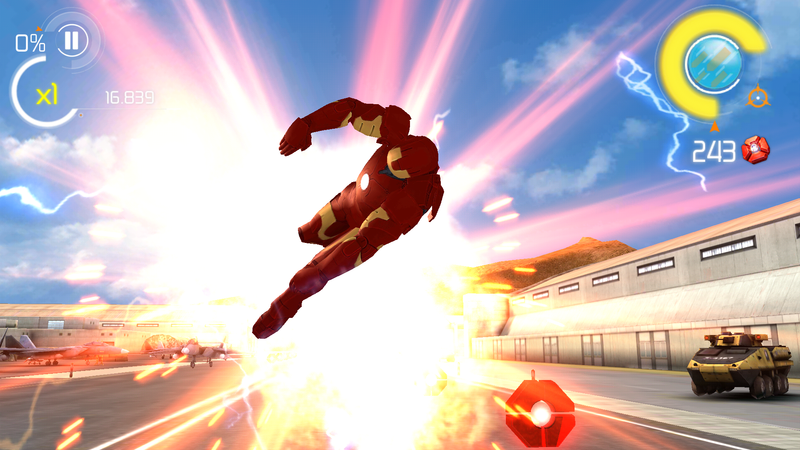 The rather demanding 3D game "Iron Man 3" ran smoothly, as did "Real Racing 3". Browsing the web works very well, with quick page loading and smooth operation, even though the Idol X+ only manages to get a mid-range spot in the benchmarks. Storage speeds are great in terms of reading, but not so overwhelming when it comes to writing data, with the eMMC storage being slower than that used in the One Touch Idol X. Heat emissions under load are approximately on par with those of the Alcatel One Touch Idol X. Some parts of the Idol X+ remain cooler, others get a bit warmer. Still, the smartphone never gets too hot, reaching a maximum temperature of 38 degrees Celsius (100.4 Fahrenheit) at the front close to the touch buttons - more than most of its competitors, but nothing to worry about. When idle, no significant heat emissions can be measured, with just 29.7 degrees Celsius (85.5 Fahrenheit) being reached. The speakers are located at the lower edge of the smartphone. As is the case with the Alcatel One Touch Idol X, the maximum volume gets pretty loud. But even then, audio quality is great, with no distortions and a lot of clarity as well as balance between highs and mid-range. Bass is somewhat lacking, but the speakers are nevertheless well suited for watching movies or even listening to a few songs. 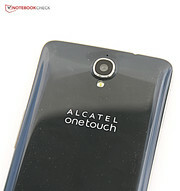 In the case of the Alcatel One Touch Idol X, we were criticizing the high power consumption rates. Pretty much the same holds true for the One Touch Idol X+, with the differences being miniscule. 0.1 Watts while turned off may be better, but actually, no power should be drawn at all under these circumstances. 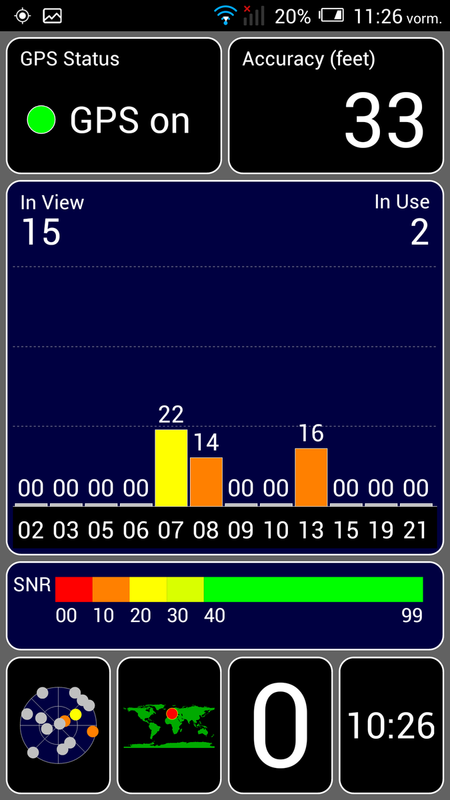 The 0.3 Watts during standby mode are noticeably worse than, say, the 0.1 Watts of the Google Nexus 5. While idling, 1.9 Watts are required on average, almost twice as much as with the Motorola Moto X or the LG Optimus L9 II (which both draw 1 Watt) and more than twice as much as the 0.8 Watts of the Nexus 5. Under load, all competitors come to lie closer to each other, with only the Nexus 5 exceeding the demands of the rest (8 Watts). The overall performance of the device is not great enough to let us be content with such high power consumption rates, especially when powered off or in standby mode. This is quite the disadvantage since the smartphone discharges rather quickly, even when it is not used at all. Luckily, things are not quite as bad as we feared, given the power consumption measurements. Despite everything, a few days in standby mode are achievable, and thanks to the much larger battery (9.25 Watt-hours), the rest of the battery runtimes are fine, as well - and certainly much better than with the Idol X. The One Touch Idol X+ achieves a runtime of more than 12 hours while idle and 6:53 hours under light to medium loads. While none of this may be record-worthy, it exceeds the results of the Idol X by far, coming close to most of its other competitors. 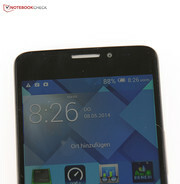 So where exactly can the "plus" of the Alcatel One Touch Idol X+ be found? The manufacturer's response would probably include "improved battery life and performance". And indeed, the Idol X+ delivers with regard to these two aspects. Although the 8-core CPU sounds more impressive than it is, its performance levels are more than sufficient given the price point of this device. In addition, the not-even-mediocre battery runtimes of the Idol X have been improved considerably, yielding decent battery life. 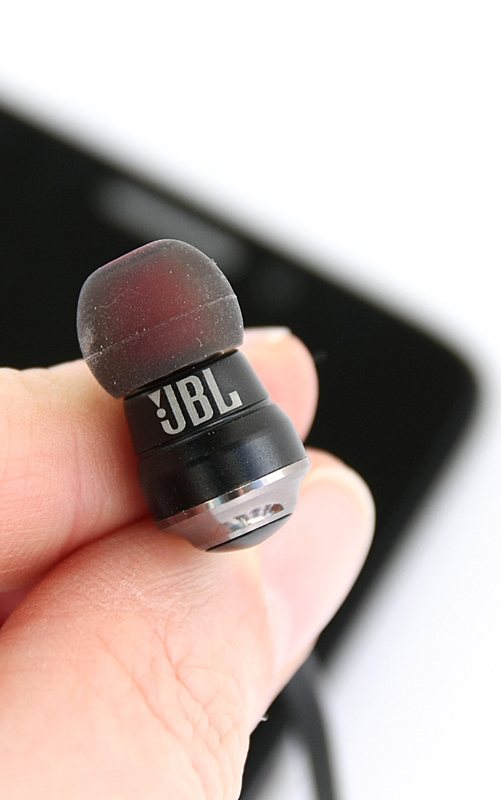 The reception quality and reliability of both the Wi-Fi and GPS modules is great, and there is even a JBL headset in the box, offering somewhat better audio quality than most standard headsets. 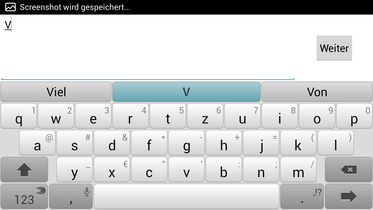 Most would be well on the software side of things, if it were not for the ancient Android version and some bloatware. Two SIM card slots, however, are a great addition for travelers, even though it is as much a pain to insert the cards as ever. Still, there are a number of more crucial disadvantages, ranging from the rather high power consumption rate in standby mode, the far bulkier and less premium chassis (when compared to that of the Idol X) and the dimmer screen with a bluish tint to the low maximum 3G speed and the non-expandable storage - these might be deal breakers for some. Had the chassis remained unchanged from the Idol X and had LTE or at least a faster variant of HSPA been included, the final verdict would be much more positive. Still, the main disadvantage of the Idol X, the terrible battery life, has been dealt with, and the performance has been improved as well. Our verdict: Those who can live with the chassis and without super-fast Internet on the go cannot do much wrong with a device offering decent quality for the ~340 Euros (~$463) it costs. The Idol X+ is a fair offer. 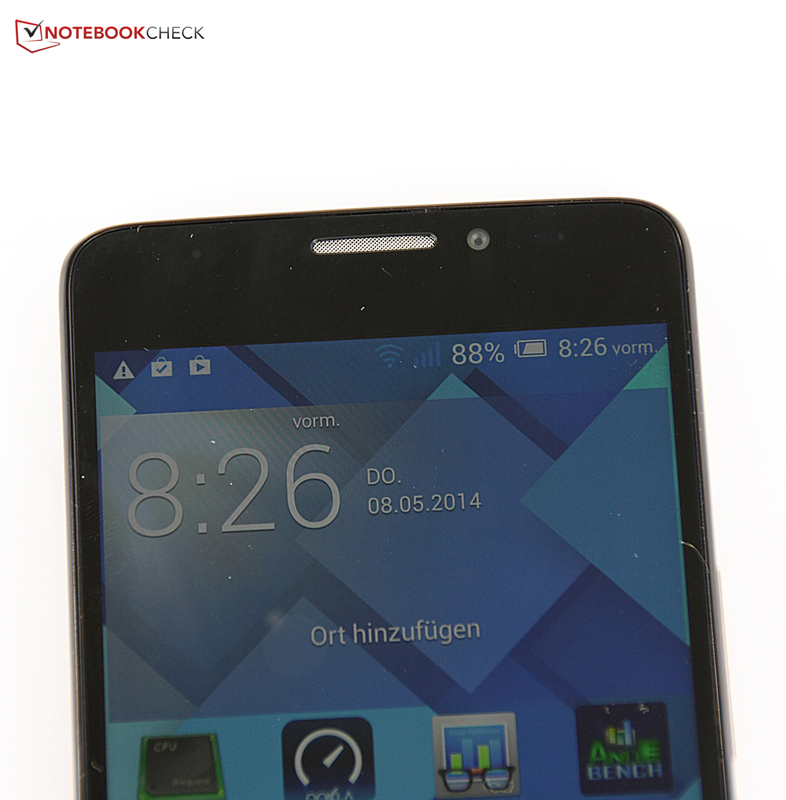 In review: Alcatel One Touch Idol X+. 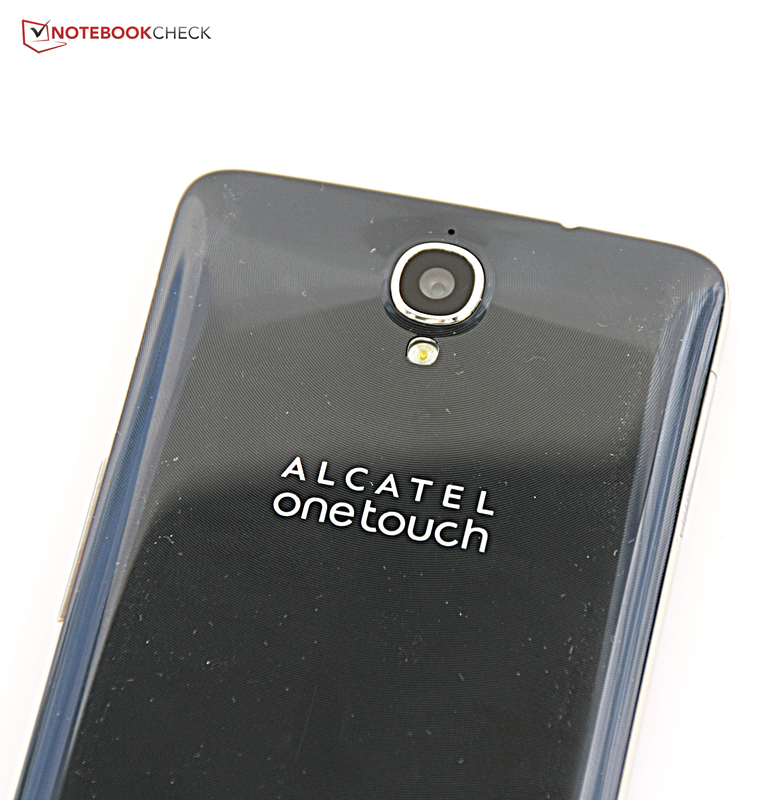 The Alcatel One Touch Idol X+ is supposed to be the manufacturer's new flagship device. Unfortunately, some of the strengths of the One Touch Idol X didn't carry over. The chassis is bulkier and more prone to fingerprints thanks to its glossy back. Plus, its build quality could have been better. Android 4.2? An update would be nice. 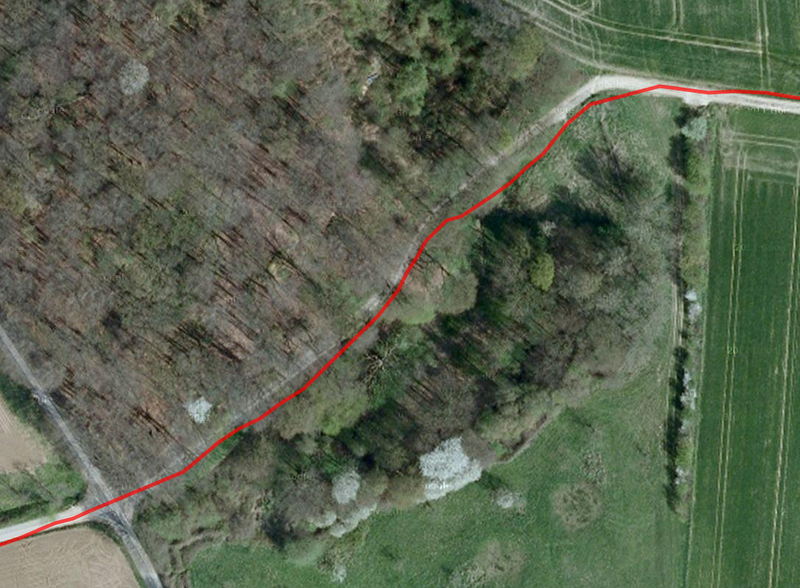 Then again, apart from some lags and some stuttering, the smartphone performs pretty well. The speakers are one of its strengths, being not only loud but even decent. 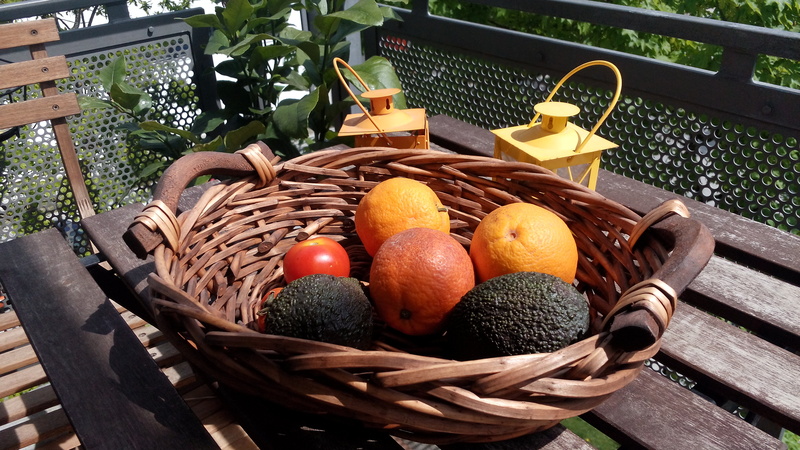 The image quality of the camera is decent as well, although we are not quite sure why the standard software doesn't make use of the full megapixel count. Alcatel ships its smartphone with a JBL headset (which does indeed sound a bit better than most standard headsets). 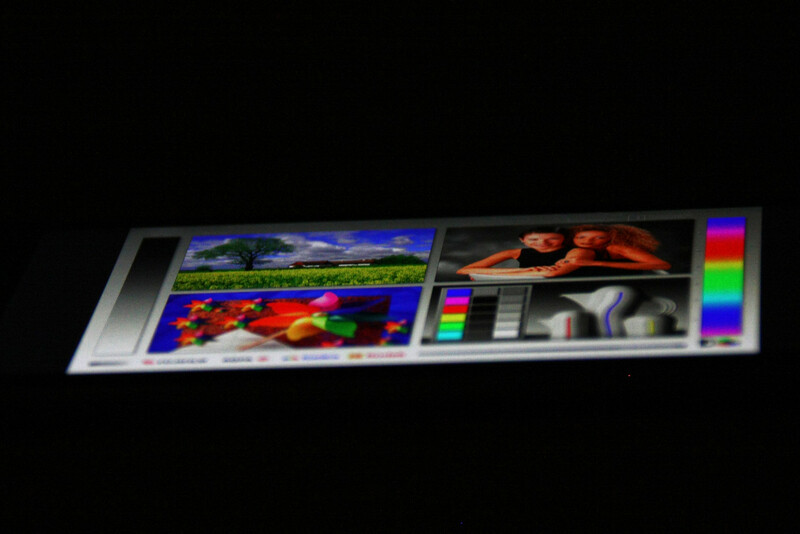 There's a widget on the left-most screen displaying all gallery pictures as a diashow. Some bloatware, some useful apps. 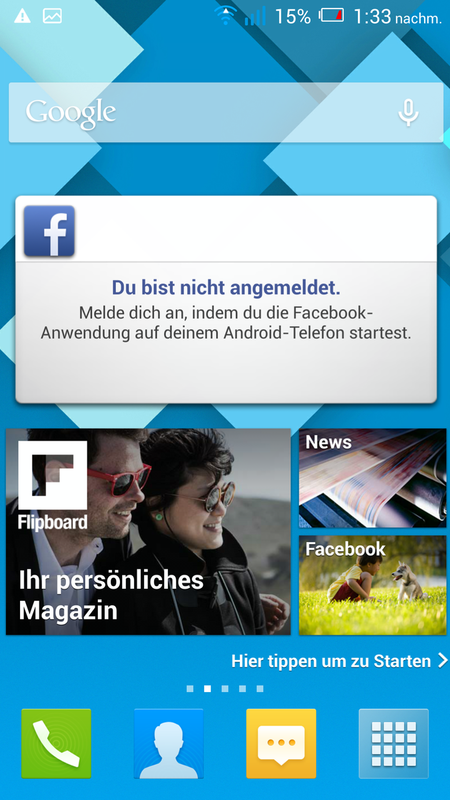 Among the latter: Flipboard, which combines news and social media notifications. 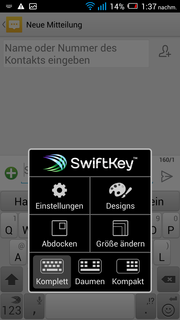 The Swift Key keyboard comes with more features but also more clutter than Google's standard keyboard. Overall, it performs pretty well. Swiping to the left reveals the camera, swiping to the right opens the start screen (from the lock screen). A few new UI features have been introduced. E.g. the telephone app looks a bit different. 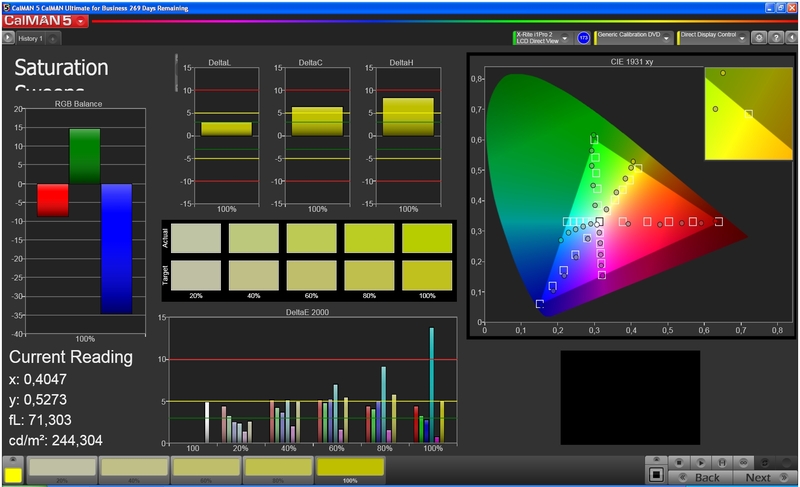 Color temperature and saturation levels of the screen can be adjusted. 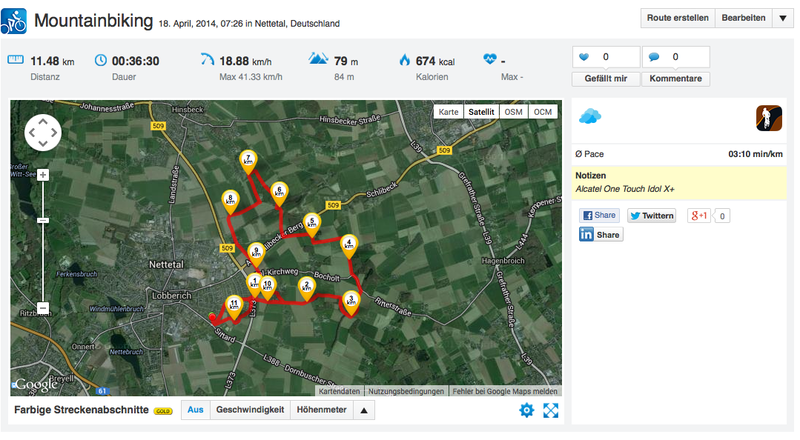 + Reliable, quick GPS module. + Great Wi-Fi reception quality. - Prone to smudges on the screen. - Sometimes sub-par build quality. 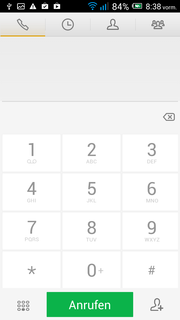 - SIM cards not easy to insert. Alcatel has managed to rid the Idol X of some of its weaknesses, while also improving its performance. The chassis is actually a lot worse than that of the Idol X. Why the Idol X+ is in some ways inferior to its less-sophisticated sibling.